Uniden LightCam 35HD Standalone Wi-Fi Security Camera / Spotlight / Motion Detector | BUDK.com - Knives & Swords At The Lowest Prices! 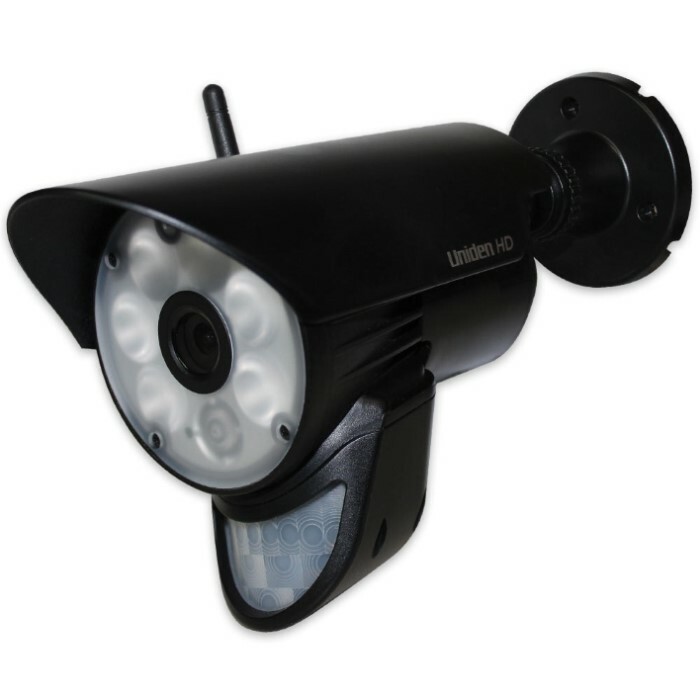 Uniden's LightCam 35HD is an affordable standalone security solution that replaces and improves upon standard motion sensing spotlights and surveillance systems. 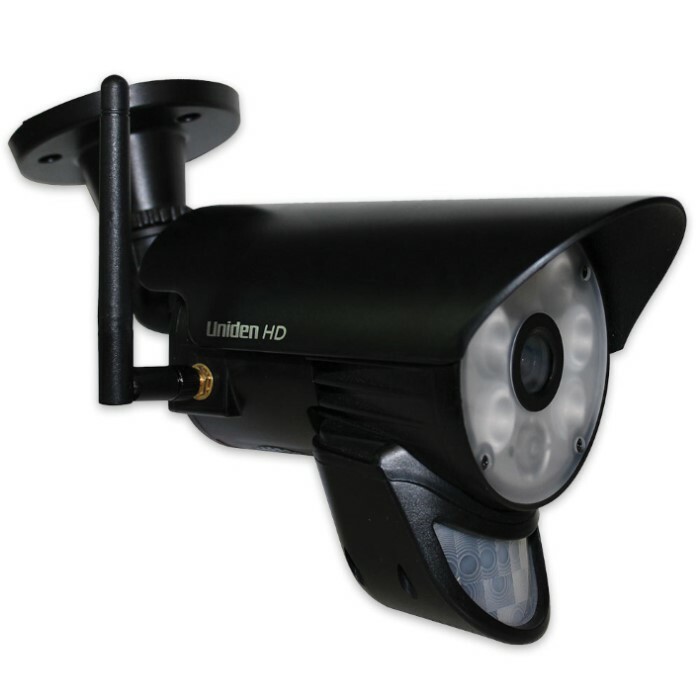 Weather resistant and extraordinarily bright, it provides ideal lighting and recorded HD surveillance for the backyard, front yard, entry door, walkway, shed, detached garages or practically anywhere else. Best of all, remote access from your smartphone, tablet or other mobile device via Uniden's free apps makes it easy to check in on your property no matter where you are! You can also program the easy-to-use apps to alert you when the Lightcam 35HD detects movement or other potential security breaches. Using a scant 6W of energy, brilliant white LEDs illuminate your way at a remarkable 500 lumens - equivalent to the light output of a 60W halogen! The spotlight function includes manual, motion and timer activation options. A two-way audio feature lets you speak with deliverymen, solicitors or unexpected visitors before deciding whether to let them onto your property or into your home. While one Lightcam 35HD is more than ample for most home security needs, if you want to beef up your family and/or property safeguards, just add up to three additional Lightcams for a full coverage, pro quality security system! You can't put a price on peace of mind, but thankfully, Uniden's Lightcam 35HD is surprisingly affordable, nonetheless. No standalone device at any cost can provide you and your family with so much safety assurance!